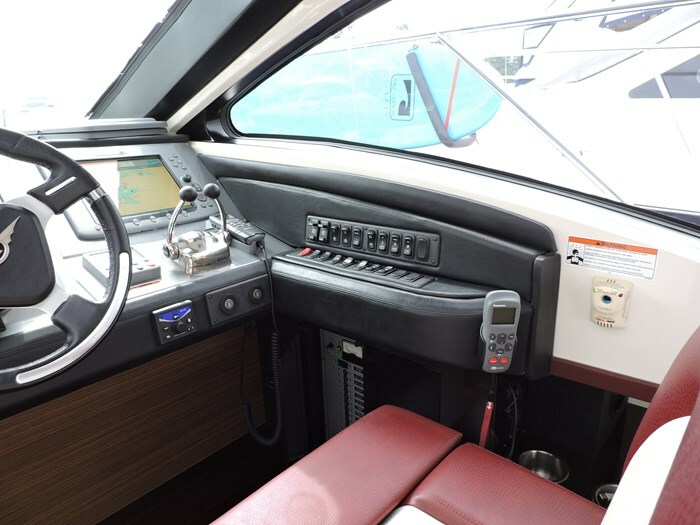 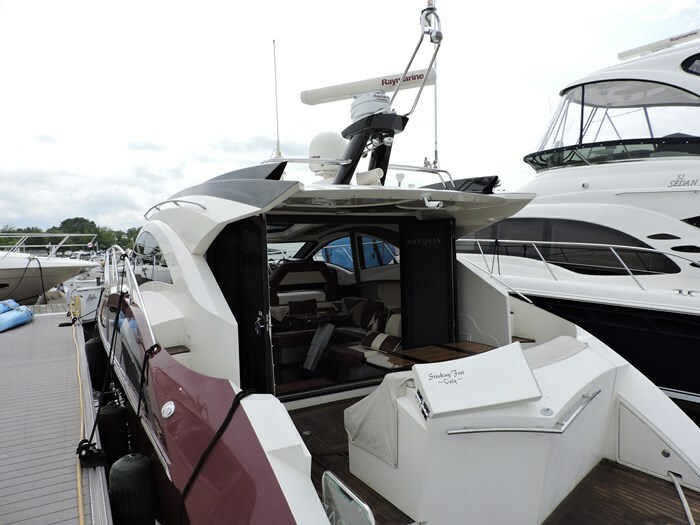 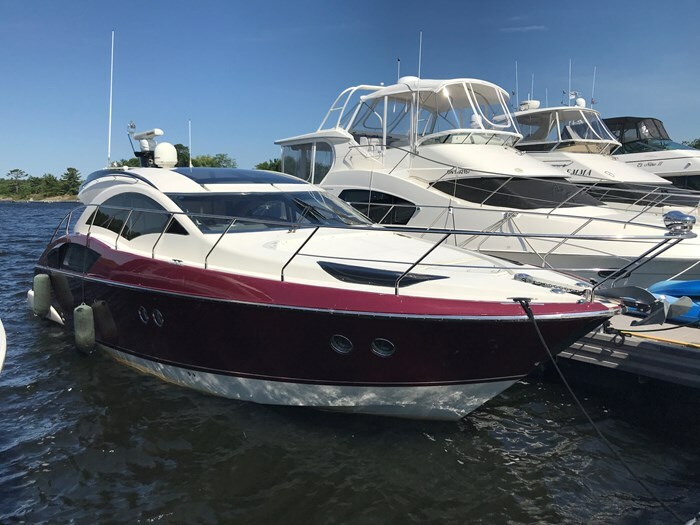 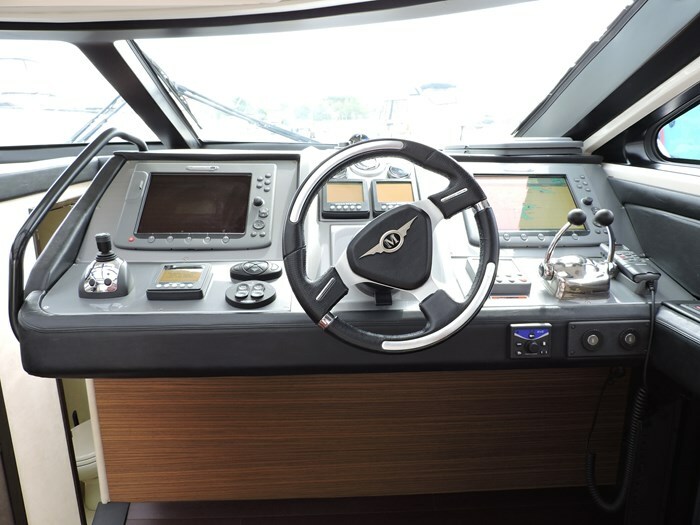 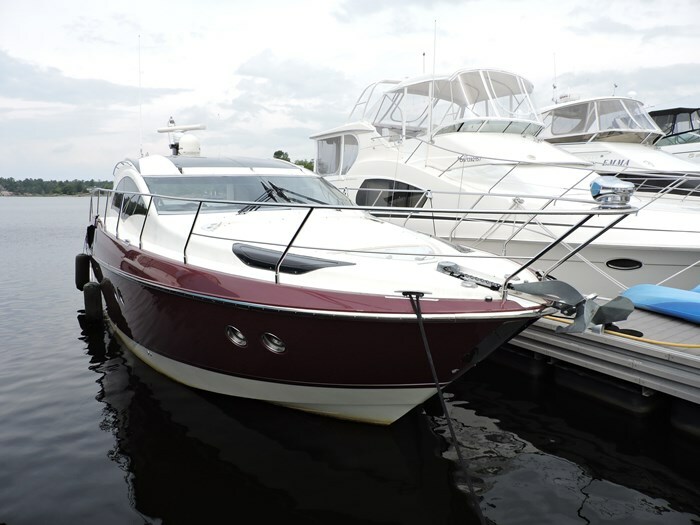 Navigation-Autopilot, 2 Raymarine Chartplotters, Compass, Depth Sounder, Engine Synchronizer, Full Engine Instrumentation, GPS with Antenna, Horn, Navigation Lights, Radar, Remote Spotlight, VHF Radio, Wipers. 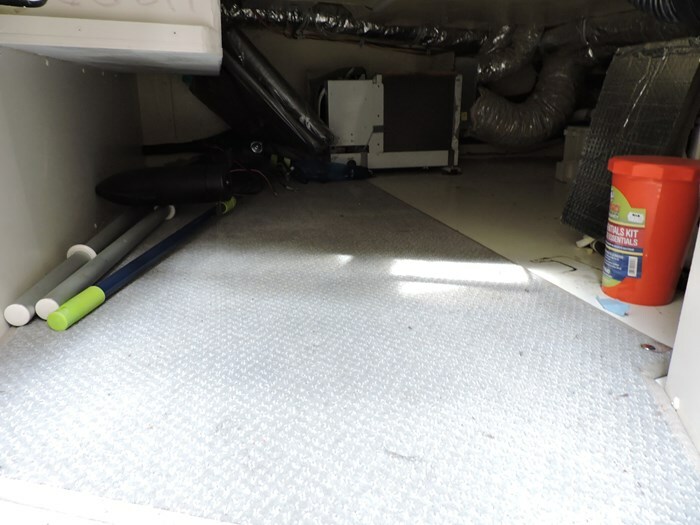 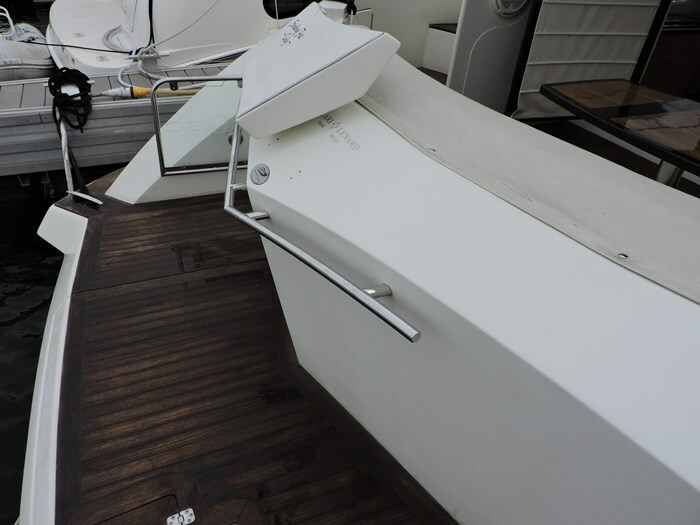 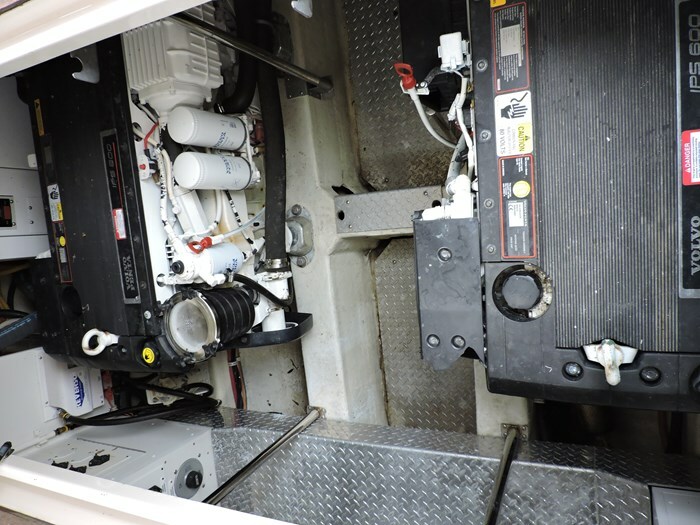 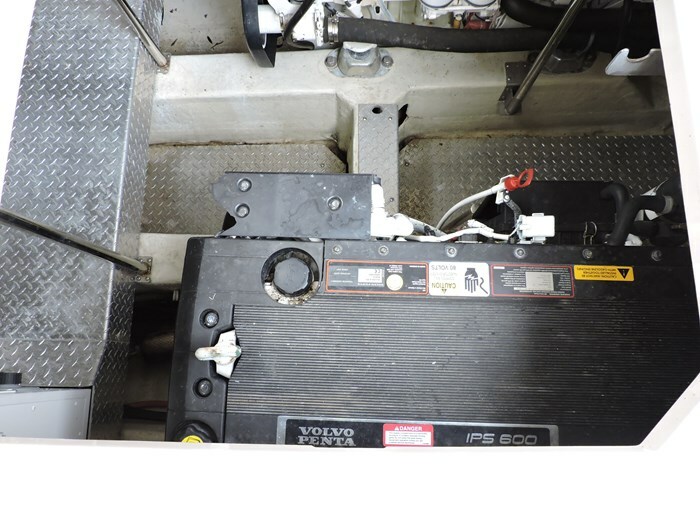 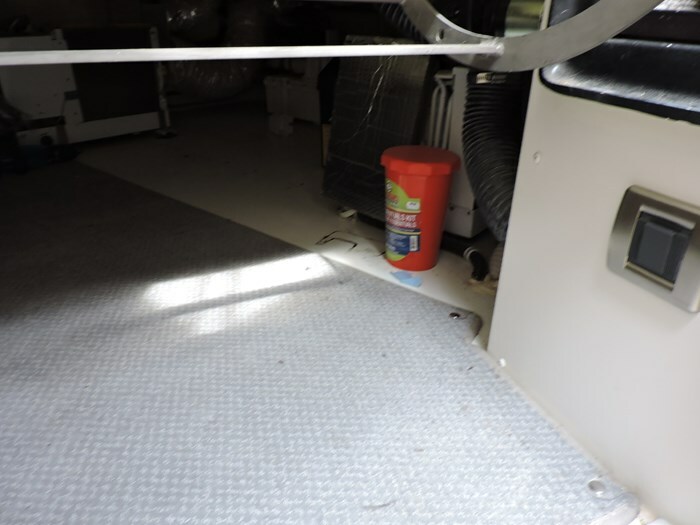 Systems-110V Hot Water, 12V Outlet, AM/FM/CD Stereo, Anchor Windlass, Auto Oil Changer, Automatic Halon, Battery Charger, Bilge Pumps and Blowers, Central Vac, Diesel Generator 10 KW-140 Hours, Dockside Water, Multiple Batteries, Fresh Water Washdown, Glendinning Cable Master, High Water Bilge Alarm, Hour Meters, Hydraulic Trim Tabs, Knot Meter, Master Stateroom TV/DVD/Stereo, Power Sunroof, Power Sunshades, Pressure Water, Remote Spotlight, Reverse Cycle Heat and Air Conditioning, Salon TV/DVD/Stereo, Second Stateroom TV/DVD/Stereo, Satellite TV, Shorepower with Cord, Tilt Steering, Transom Shower, Waste & Water Gauges. 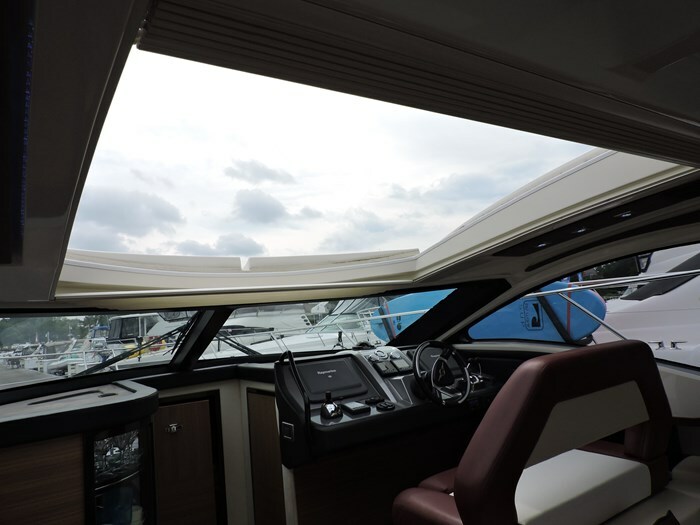 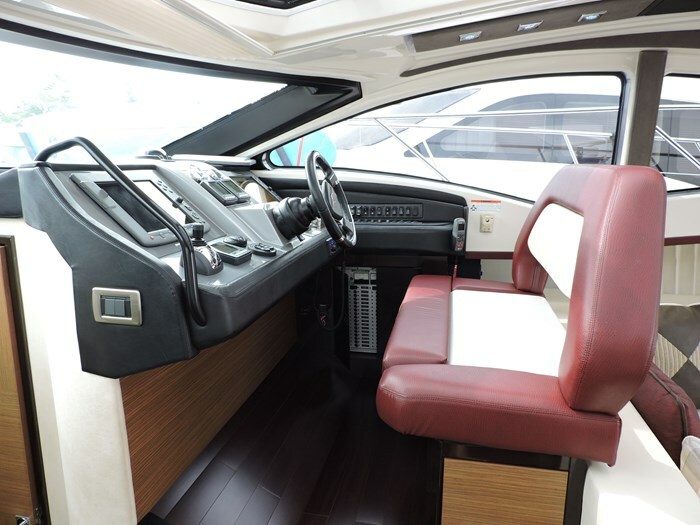 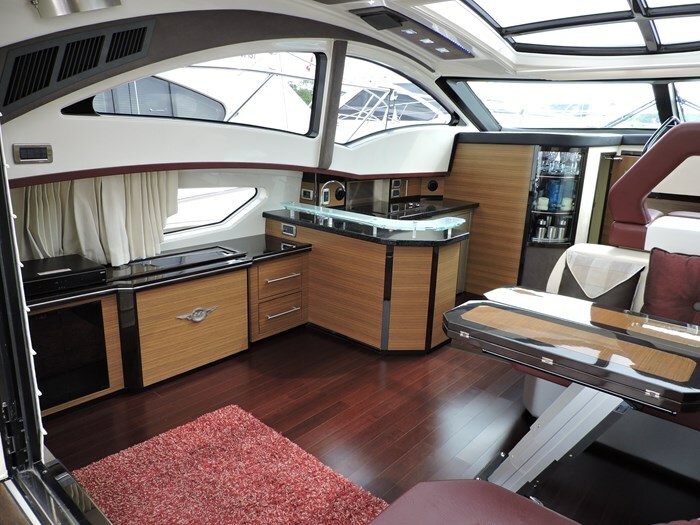 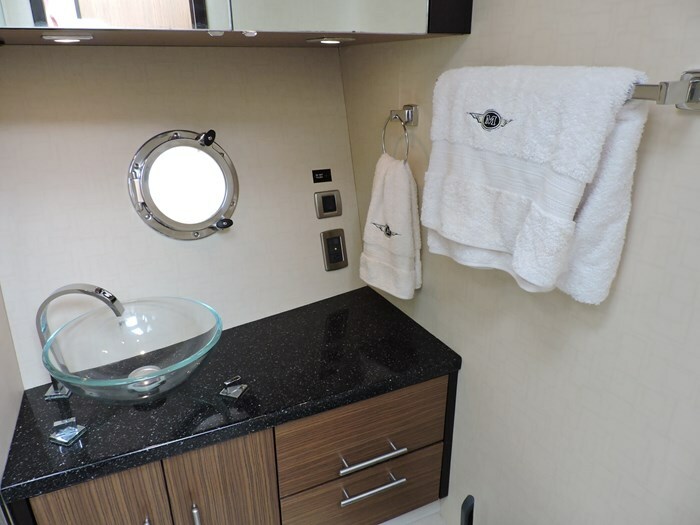 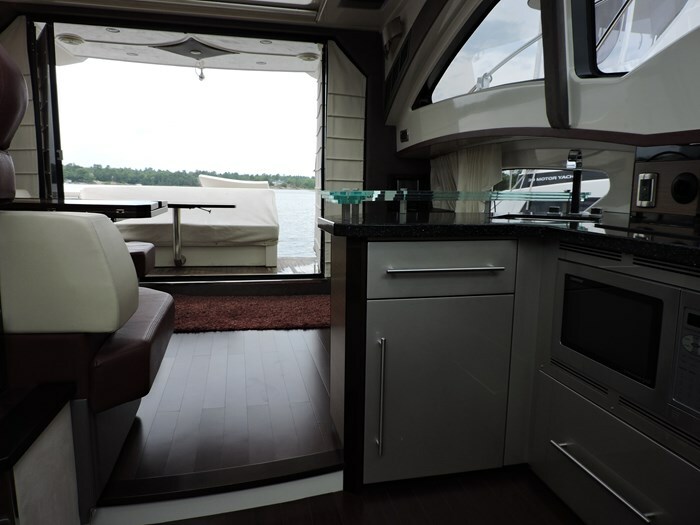 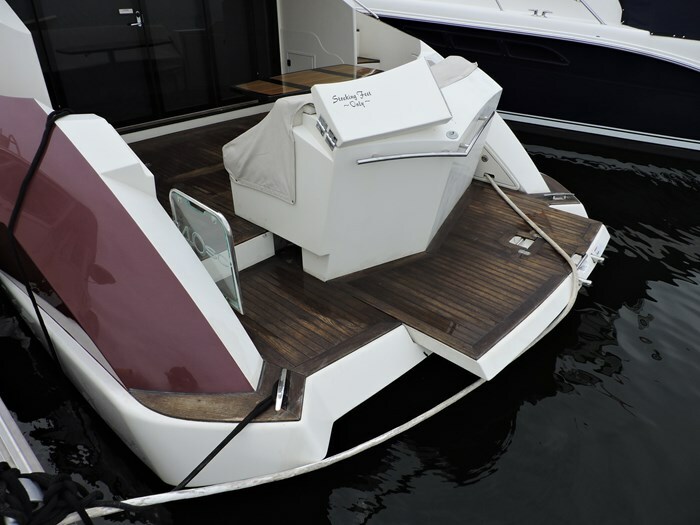 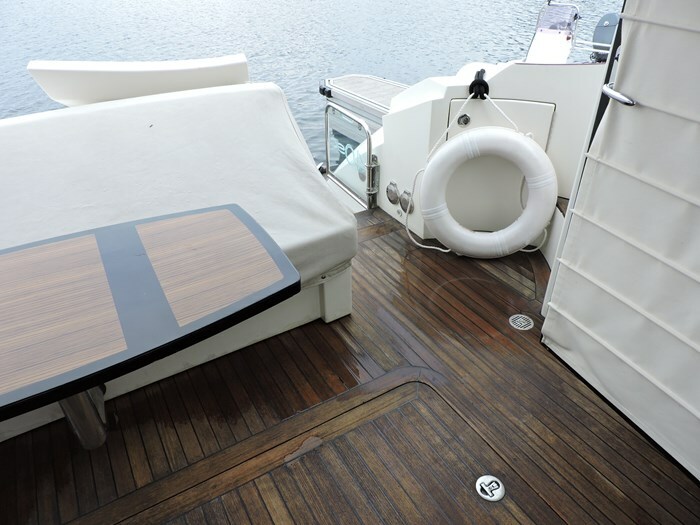 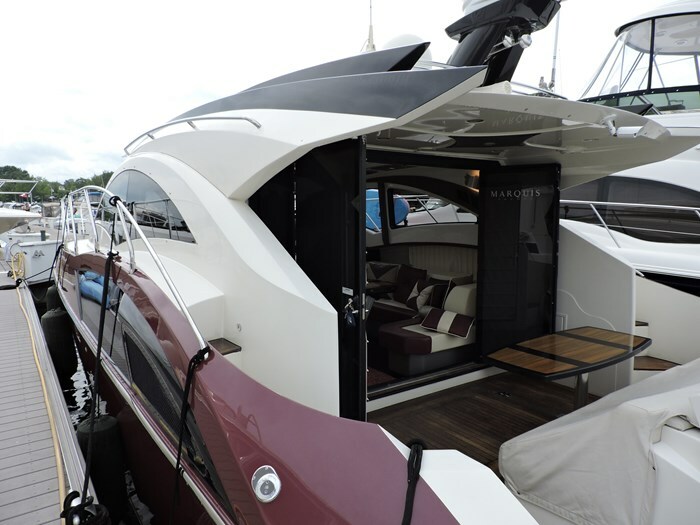 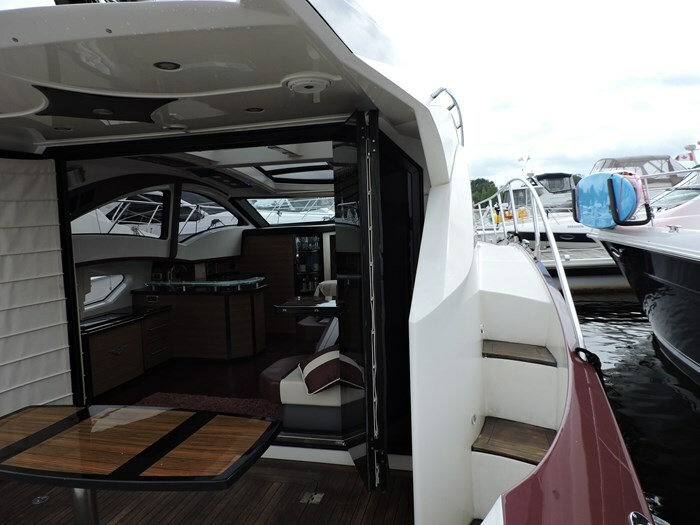 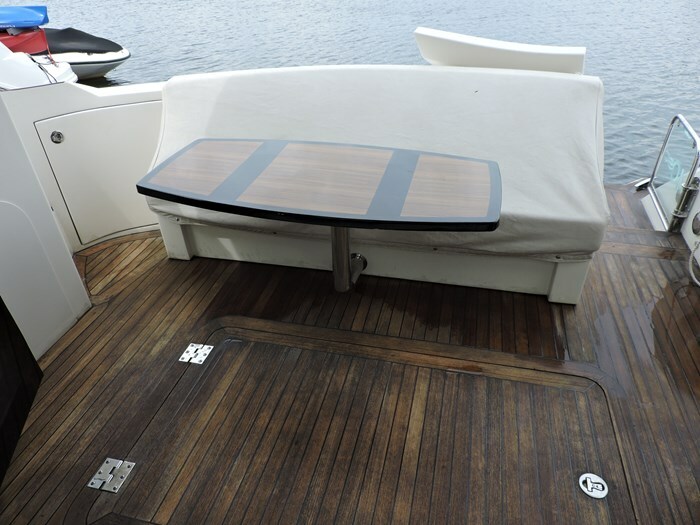 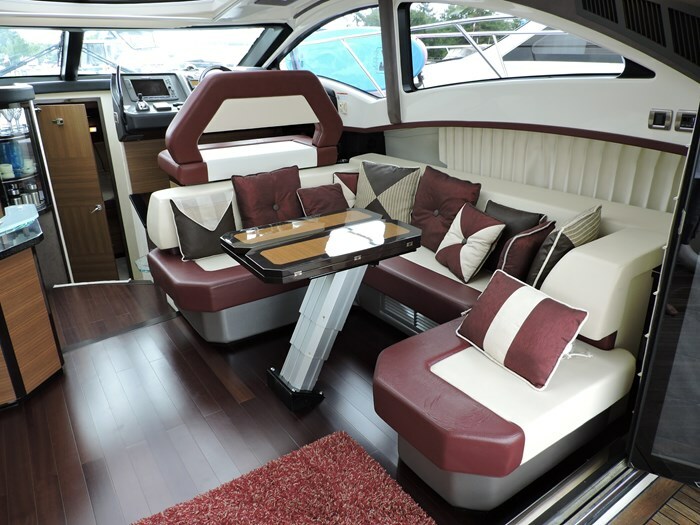 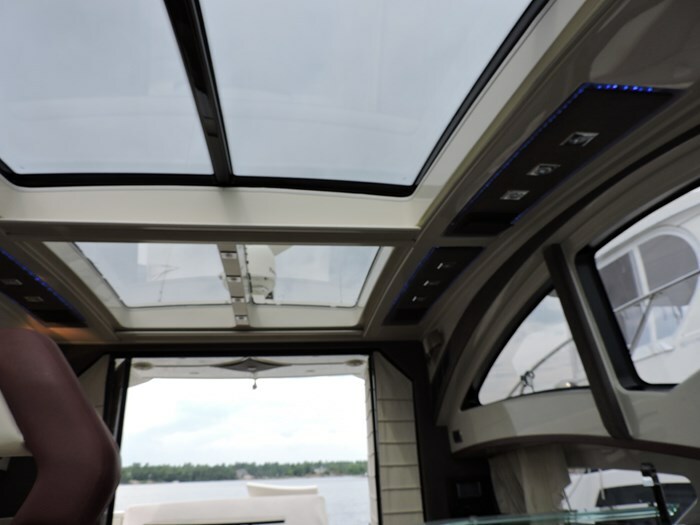 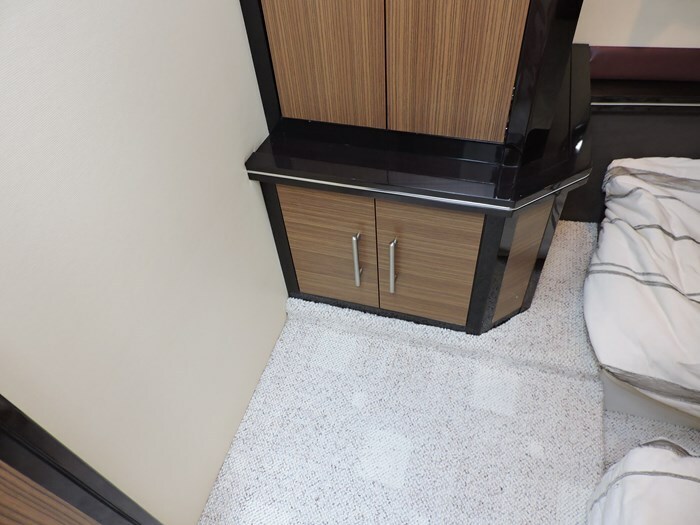 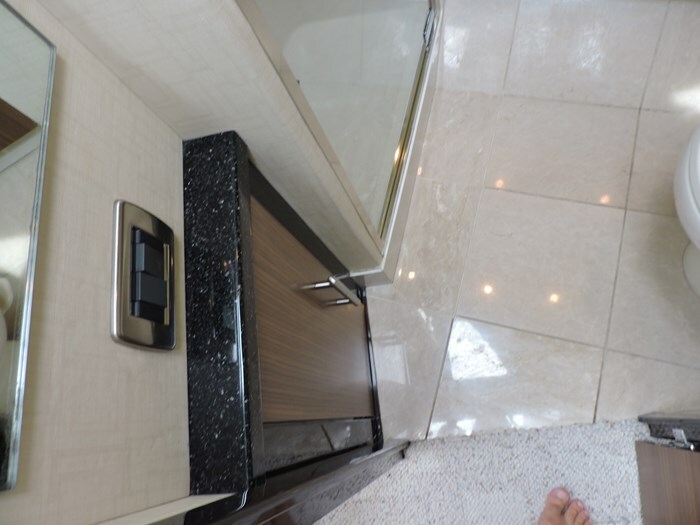 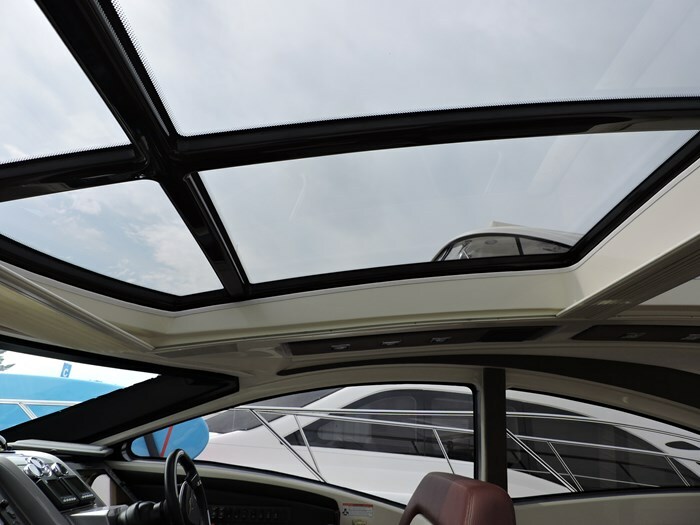 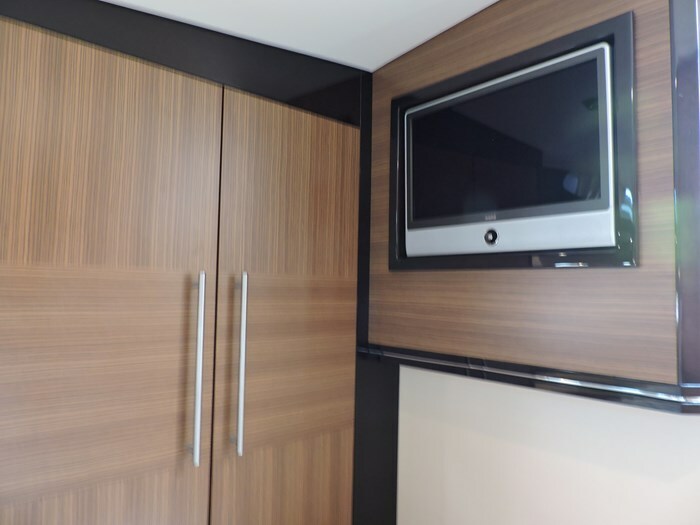 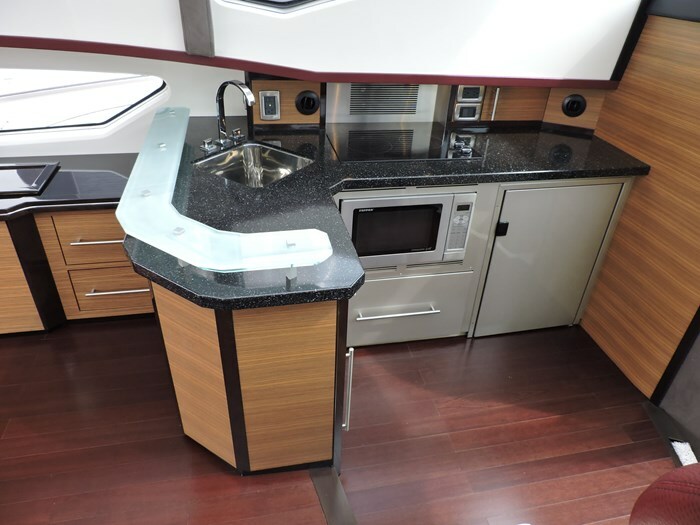 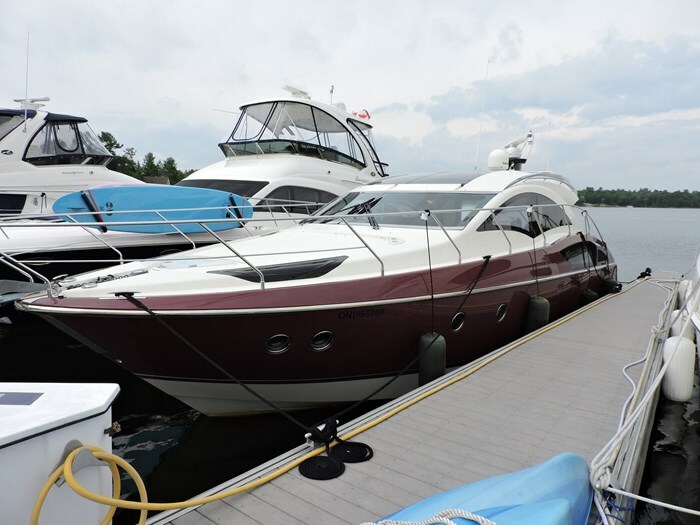 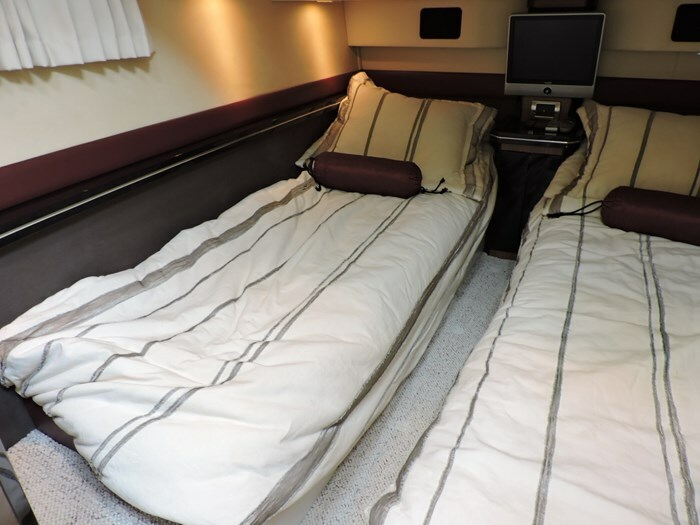 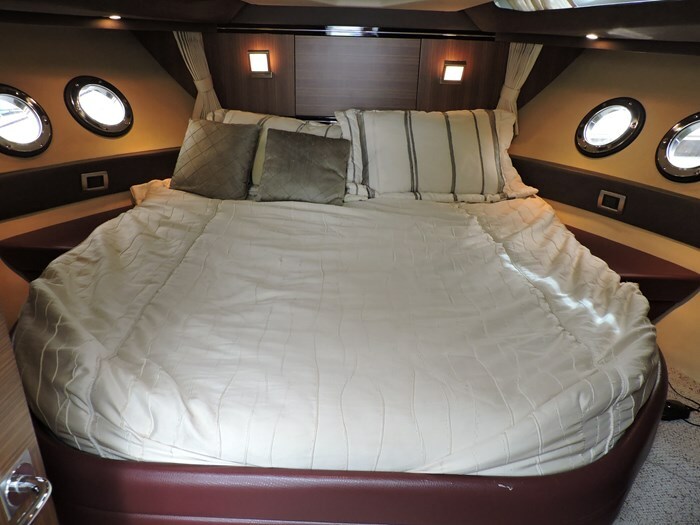 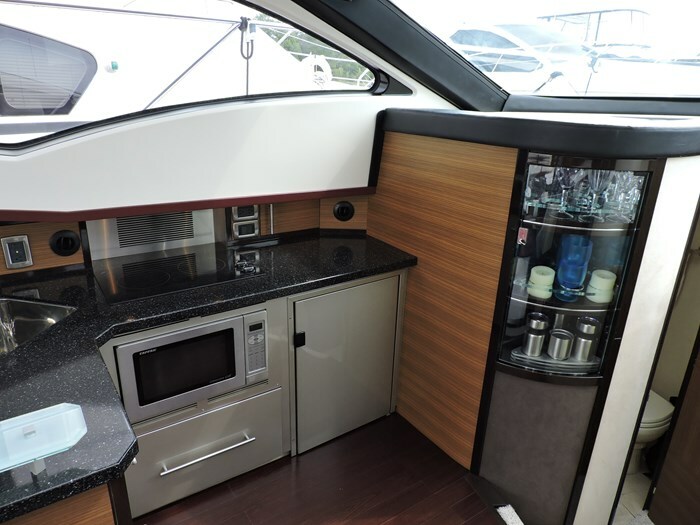 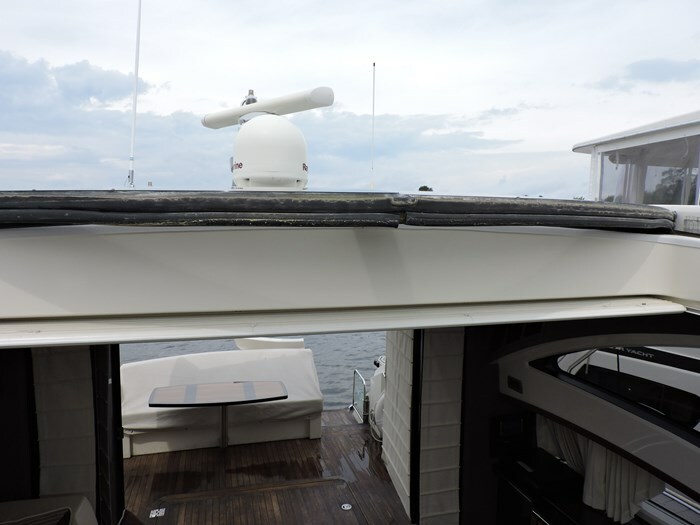 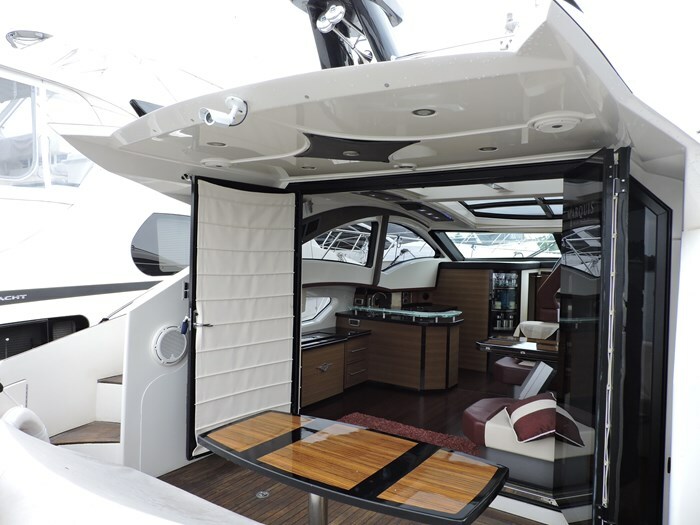 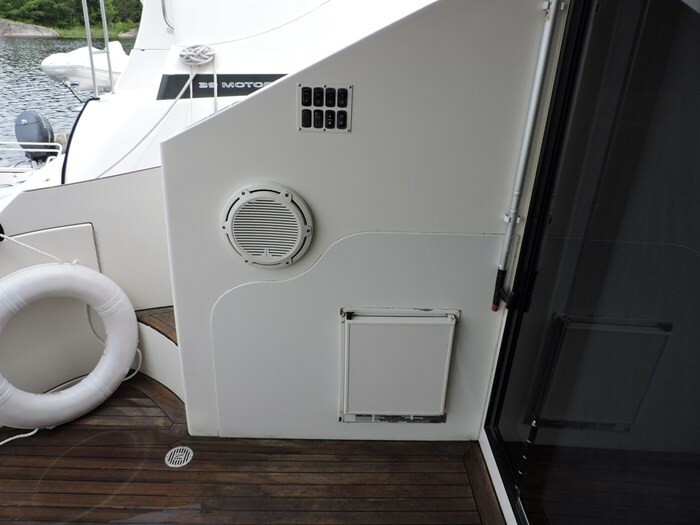 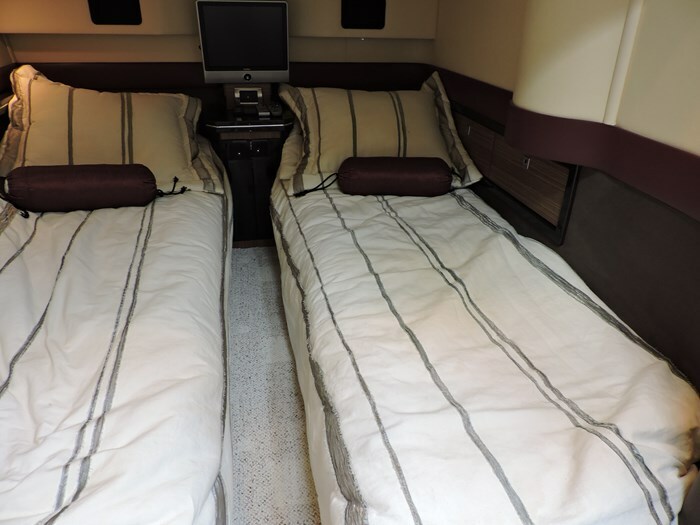 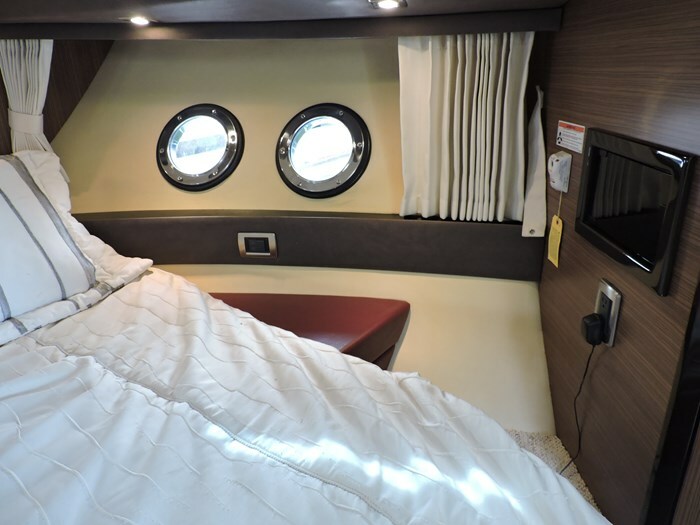 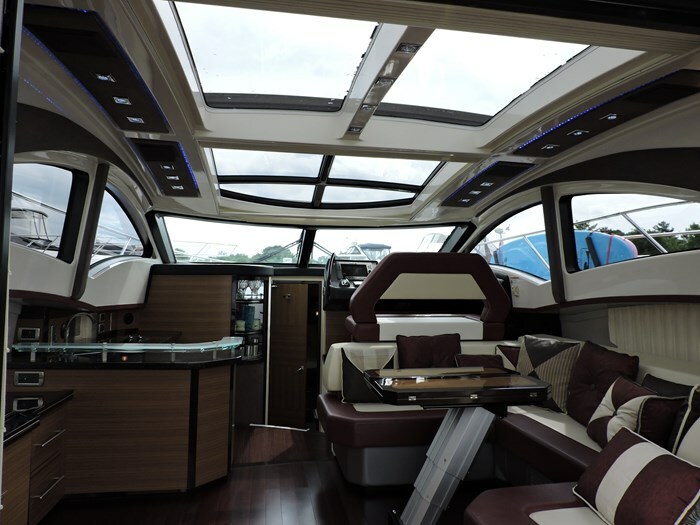 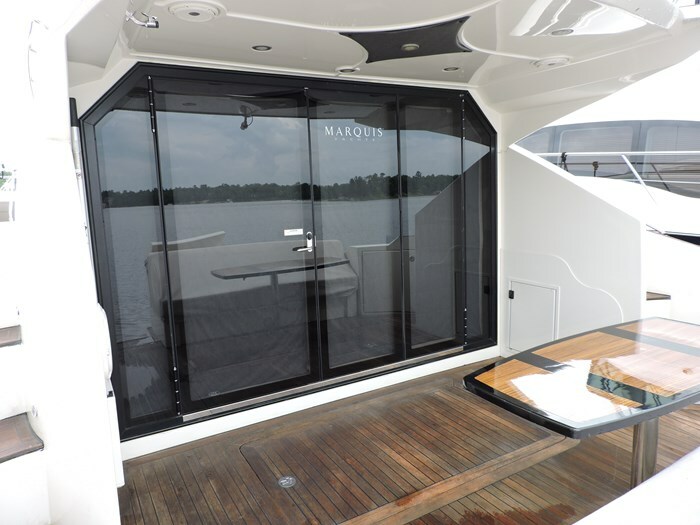 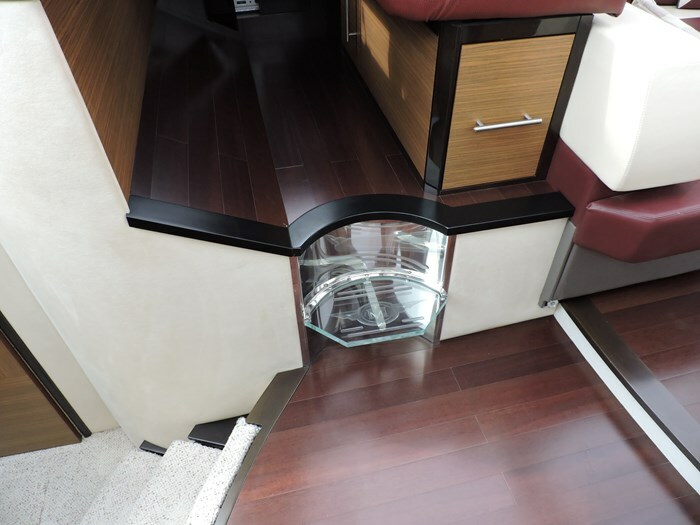 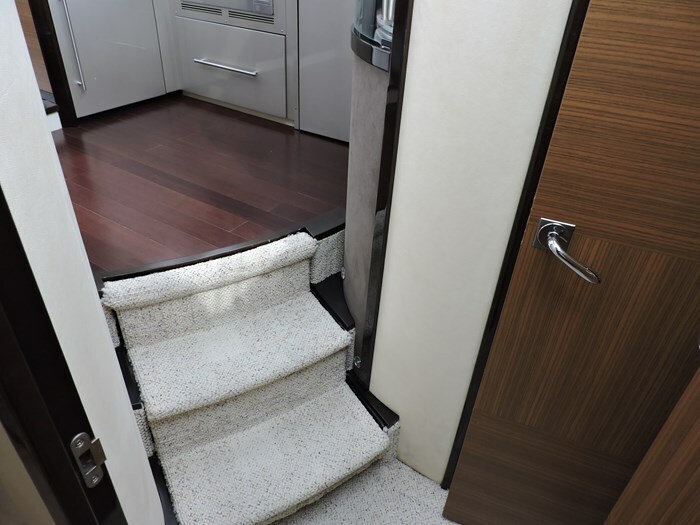 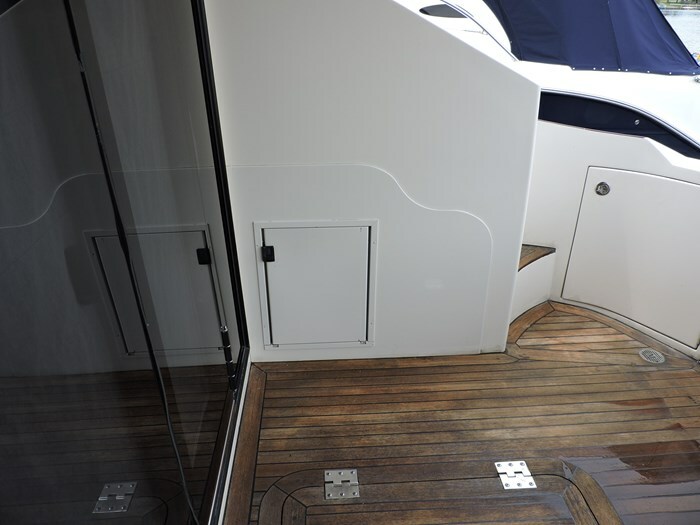 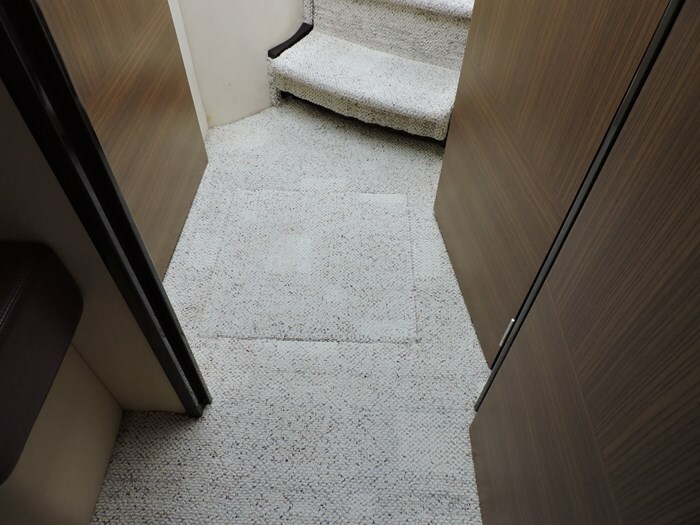 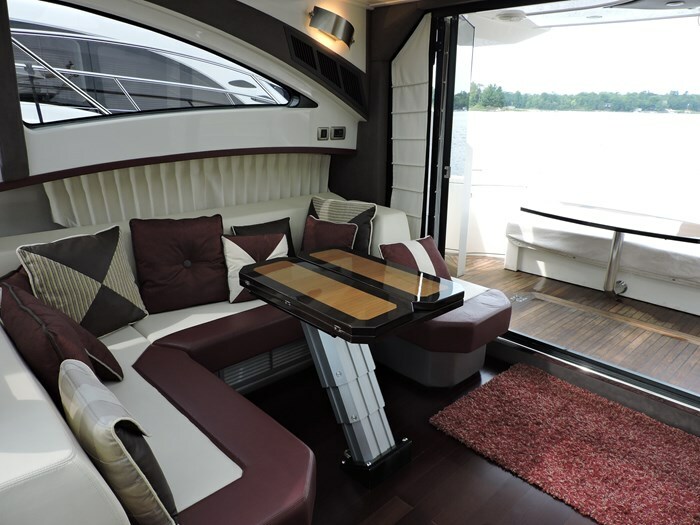 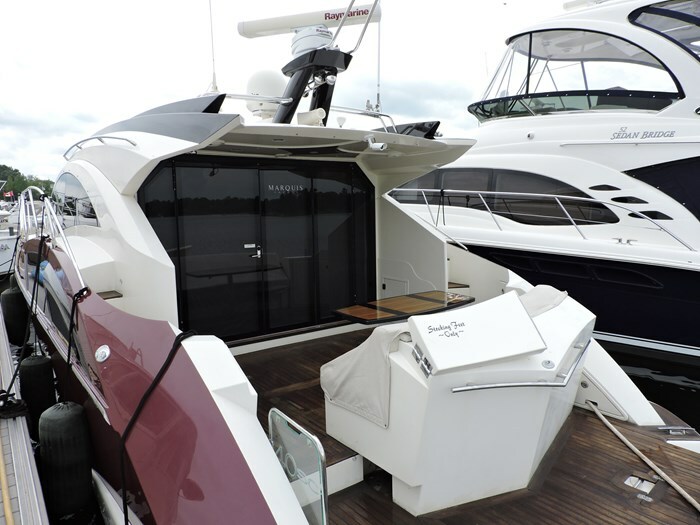 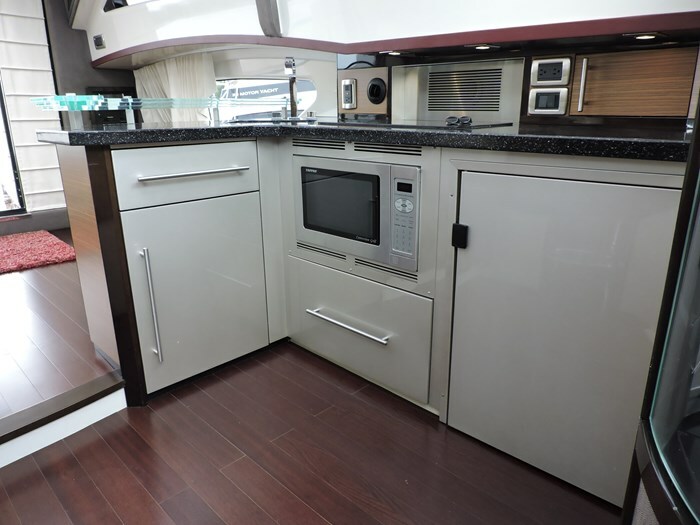 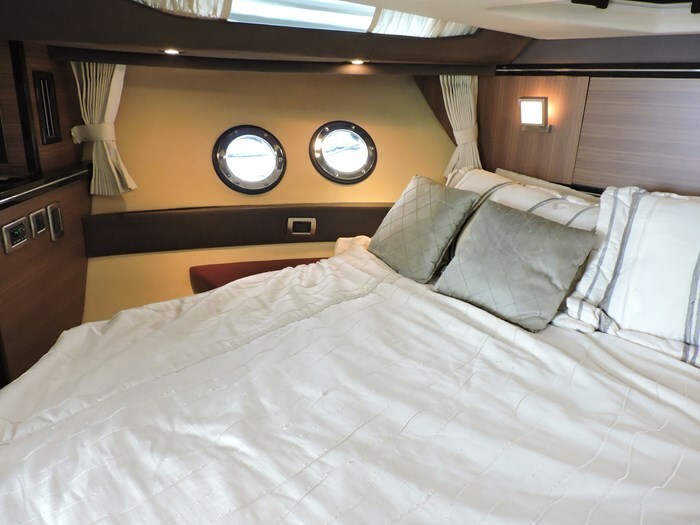 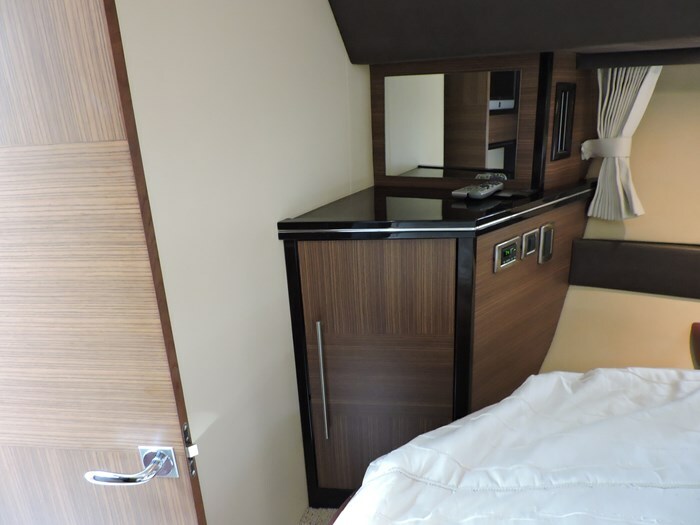 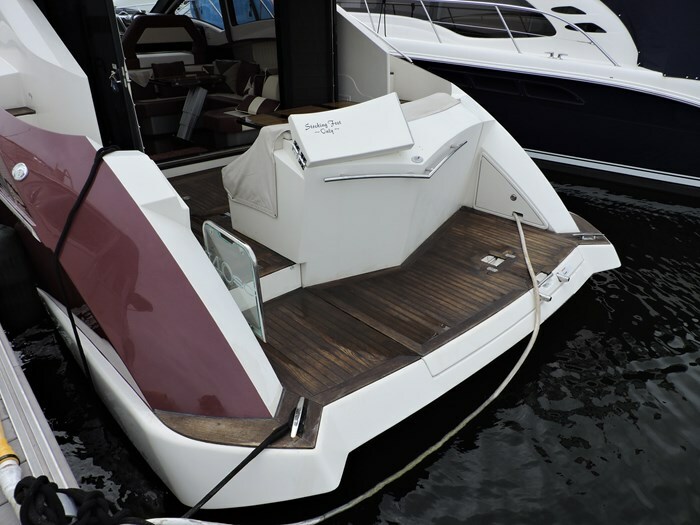 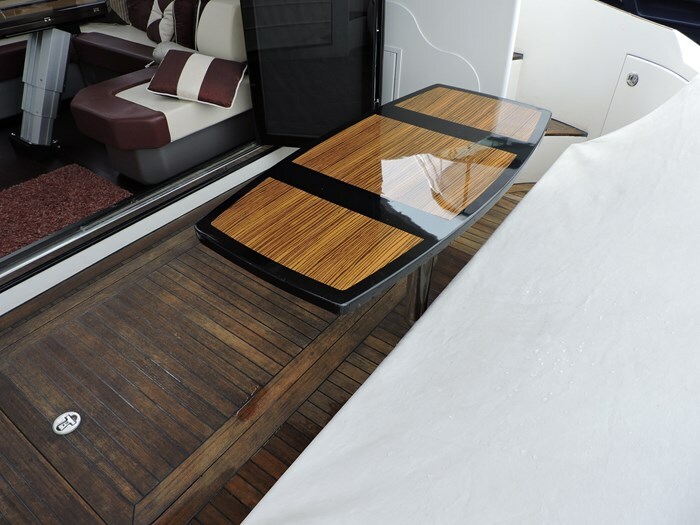 Interior-Cabin Carpet, Cabin Lighting, Convection Microwave, Curtains, Deck Hatch, Hanging Locker, Innerspring Mattress, Portholes, Salon Sofa, Electric High/Low Salon Table, Electric Salon TV Lift. 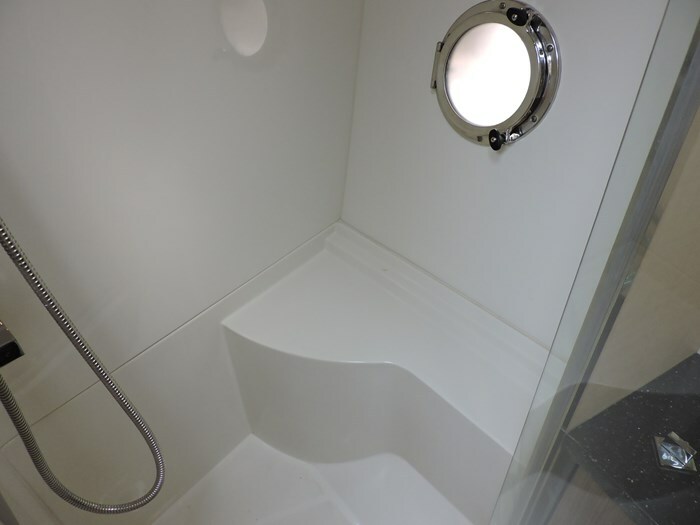 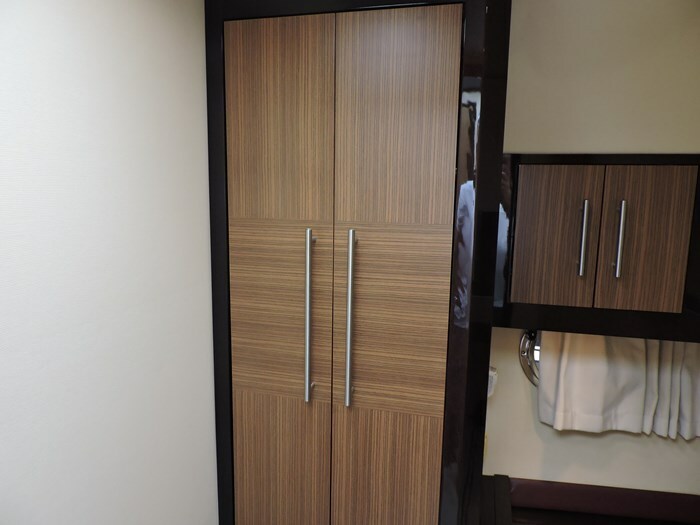 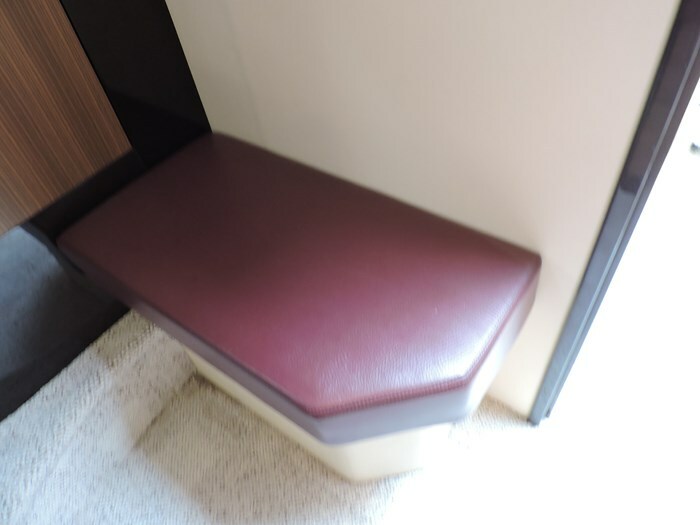 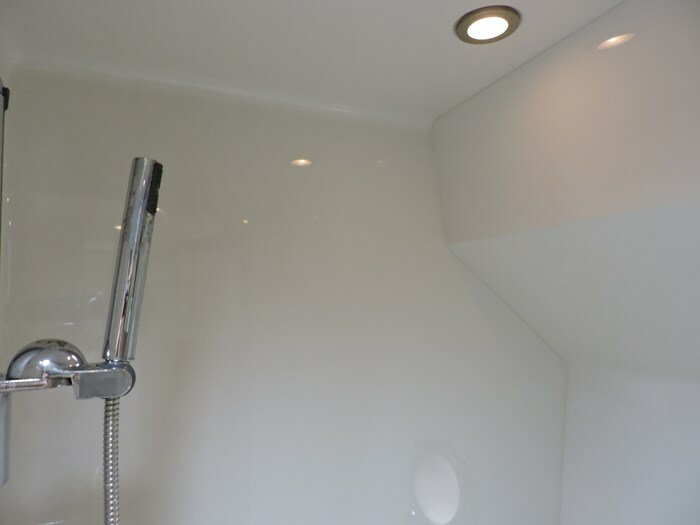 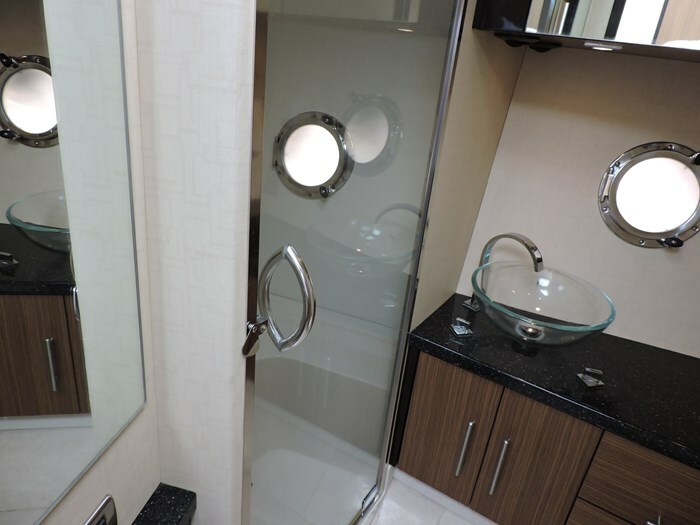 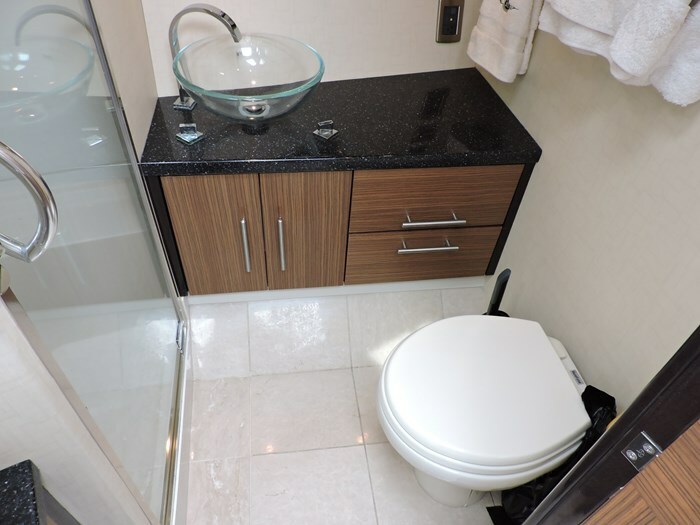 Head-Vacuflush Toilet, Exhaust Fan, Stall Shower, Vanity, Sink. 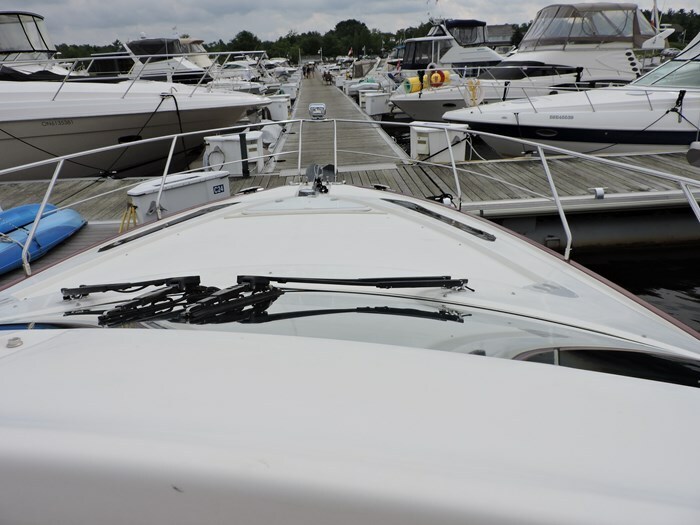 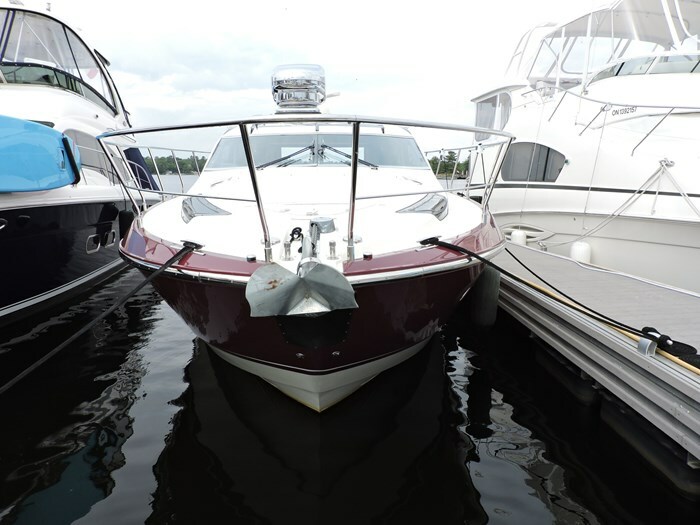 Safety-Anchor with Rode, Anchor Windlass, CO Detector, Dock Lines, Fenders, Halon System.